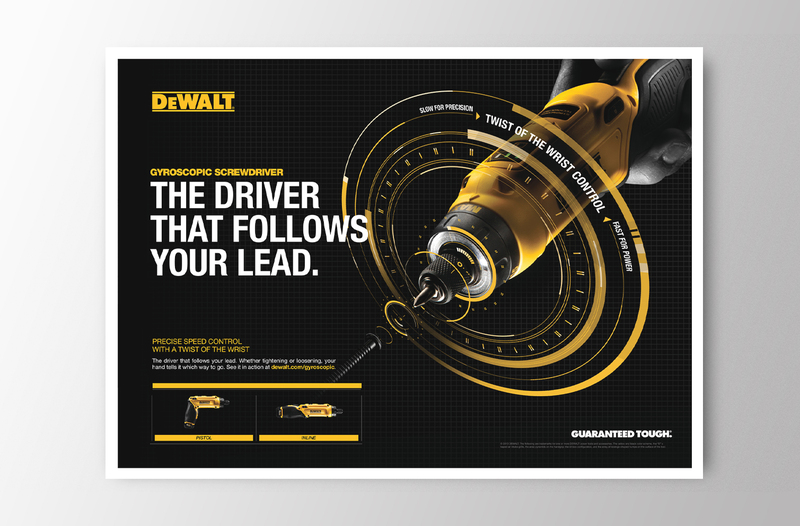 Dewalt's new Gyroscopic Screw Driver is a first of its kind for the market. And DeWalt. DeWalt has always been known for their tried and true tools built for professionals. So when they introduced a new innovation line, we had to break the mold of the current brand and develop a new creative platform to introduce the technology driven product solutions. This campaign was the first of its line setting the standard for all others. 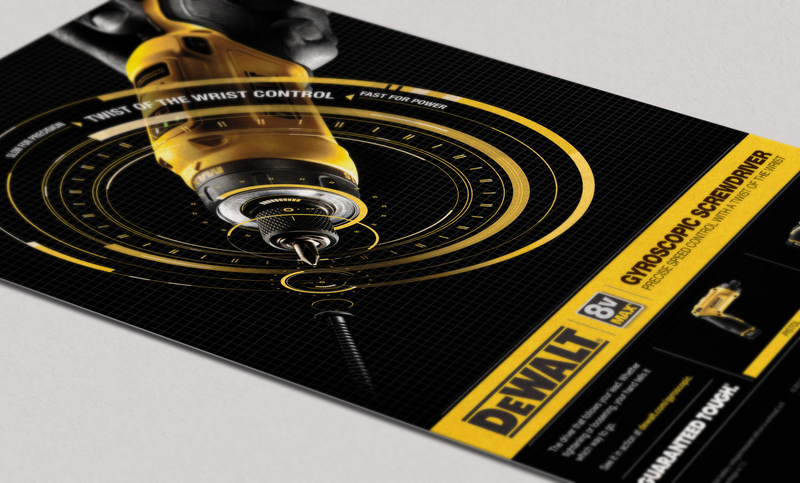 The technical yellow graphics remain true to the brand, while introducing consumers to a whole new DeWalt. To this day it is still one of the most wildly successful campaigns for the company.